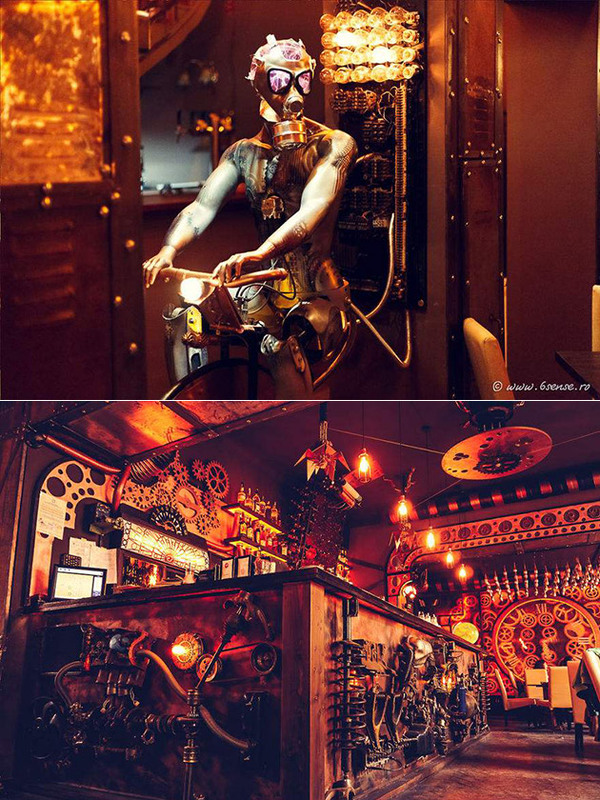 Alexandru Tohotan and Zoltan Zelenyak of “The 6th Sense Interiors” have opened Enigma Cafe, the world’s first steampunk-themed bar, in Cluj, Romania. 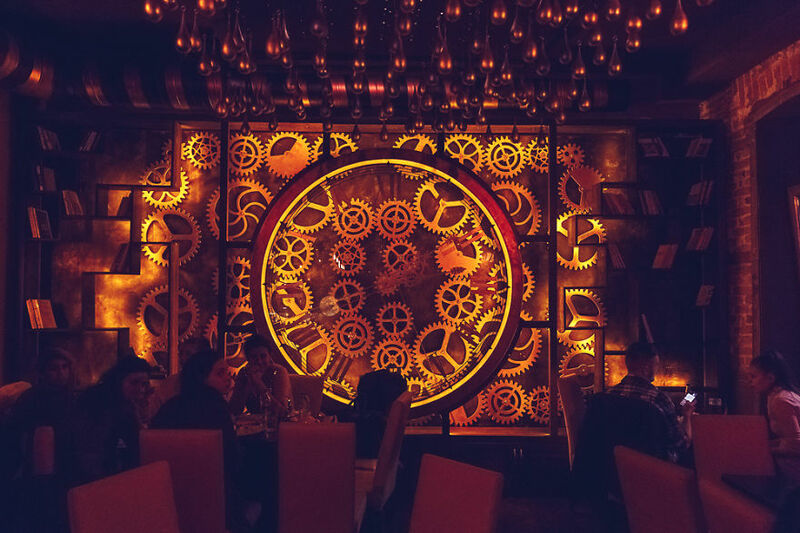 In addition to the numerous kinetic sculptures – artworks in constant motion from light and ceiling fixtures, customers will also find gigantic wall clocks, rotating wheels, metallic flowers opening up on the ceiling, a live moving bird as well as a Giger-inspired robot on a bike. Continue reading for more pictures and a few animated GIFs. “The authors of the entire design concept, namely the Romanian based designers Alexandru Tohotan and Zoltan Zelenyak, previously responsible for the creation of two other worth mentioning works such as The Submarine and Joben Bistro, strike again, this time with an even more unique piece of artistry. The works took almost two years to come to life, but the efforts are well worthwhile, offering an unparalleled experience for having your regular cup of coffee at a bar,” according to Bored Panda.